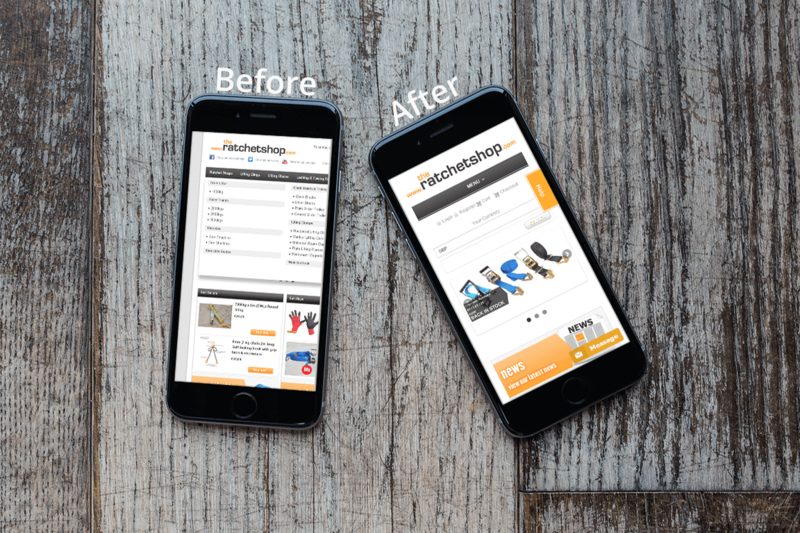 We were approached by TheRatchetShop.co.uk and asked if we could take their existing site and convert it into a responsive design. Despite requiring a responsive layout, our client still wanted the new site to look the same viewed in a normal desktop/laptop browser. The client’s website had been put in place using totally static content, before responsive design had been born. Mobile browsers simply displayed either a zoomed in or zoomed out version of the page in order to fit into the dimensions of the screen being used to browse the site. As you can see the conversion of the site has resulted in the content dynamically adjusting to fit into the browser. The menu also changes to a “hamburger” style menu so that it can be easily navigated using a touch screen device. We managed to preserve the existing look and feel of the original desktop site as you can see in our before and after shot! The complete conversion took less than 4 weeks to complete and mobile conversion rates are already showing signs of improvement. If you want to talk to us about converting your existing page into a responsive layout, please get in touch.